Hi everyone, we are sorry for the delay – as always – but our 50th anniversary episode is approaching. On this occasion, we would like to invite you over to our facebook page to participate in the banner voting. Vote for your three favorites by liking them – we will share the top 3 in our anniversary episode. And while you’re at it, feel free to participate in #AsktheChicks and ask us anything you like – we will answer every.single.question in the upcoming recording. You can use the hashtag in the comment section anywhere on facebook, on our blog or on Twitter. Spread the word and join us very soon to celebrate! It’s the Across the Universe Podcast’s 1 Year Anniversary!! 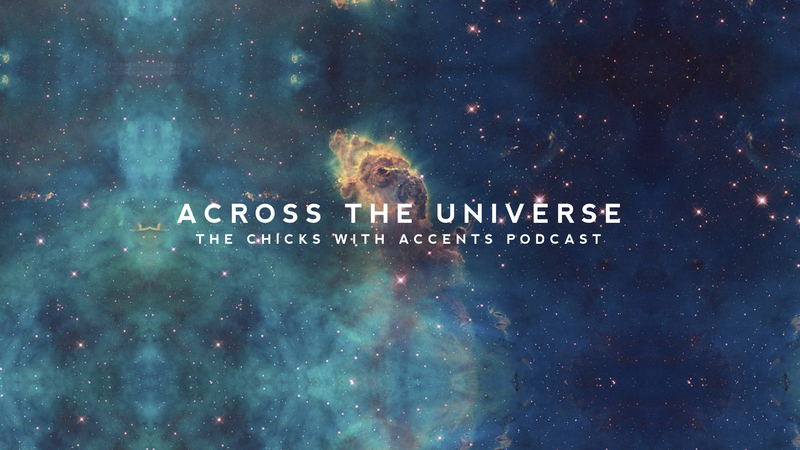 Welcome to the Across the Universe Podcast blog! First and foremost, you can now stay tuned with everything Across the Universe related through this WordPress Blog. From now on, all our episodes will be available for you to listen online or download, completely free. New episodes will be structurally optimised, along with a few more surprises…! The podcast now has a Youtube channel, where episode trailers will be uploaded. As always we encourage your feedback, so leave us a comment below or get in touch through our facebook page. On our next episode we’ll discuss Monster Movies! Join the conversation on Friday, the 16th.